Chris: Hey, Freedom Fast Trackers. It’s Chris Duncan here and today, I’m so excited. I’m with Dr. Greg Wells. He’s the author of “Super Bodies: Peak Performance Secrets From The World’s Best Athletes,” which explores the brain, muscles, lungs, heart and blood and how they work together in extreme conditions. Today, we’re going to talk about productivity. Greg, I’m so excited to have you on the show, man. Welcome. Dr. Greg Wells: Thank you so much. I’m super psyched to be here and to meet everybody. Chris: We’ve been talking about this a lot actually, Greg. We’ve had a brief introduction just recently—well just today—to this, to each other and here’s what I really want to explore: athletes. I think that athletes and entrepreneurs are similar in so many ways, in one way, and that’s that we want to get the most out of our bodies and to perform at our highest peak. We were talking about that off the air. What are your thoughts on that? Dr. Greg Wells: Yeah, well—so many people are trying to do that these days. It’s particularly relevant for entrepreneurs and one of the main reasons that I think it’s important that we have this conversation is that one of the things that’s not being spoken about is the fact that in Silicon Valley, in tons of startups, it’s sort of the hotbed of innovation and with all that happening it’s also, sadly, one of the locations in the US that has the highest suicide rates. Entrepreneurs are out there and, unfortunately, especially when you’re getting started, you have to do everything. You’re the CEO, CTO, CFO, CIO. Everything. Dr. Greg Wells: You’re under so much pressure, and we put pressure on ourselves for going down this road. Your family eating might depend upon it. We put the business ahead of ourselves and I strongly believe in working on this myself as an entrepreneur in addition to being faculty at a university, is trying to live a healthy life because it’s the only way that I can perform at my best. I think people quite often don’t keep that in mind or aren’t able to do the health and performance thing at the same time. Chris: It is tough. 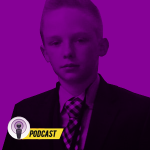 It is tough and I can’t wait to dive deep, but let’s start with you and your entrepreneur story, Greg, because I heard that you’ve got something going on that’s pretty good and I would love to know a lot more about your story, where you are now, and kind of the road to get you there. Dr. Greg Wells: It’s been, like every entrepreneur, probably a million different directions and finally now going in the right one. Up, down, sideways, backwards. I was an athlete growing up. I was a competitive swimmer and that sort of formed what I did. I went to university and took a chemistry degree, which was great. As soon as I graduated from my chemistry degree, I started a company straight out of university and it did really well. I kind of maximized that out until I was sort of punching way above my weight. Someone challenged me on my qualifications one day and legitimately so. Dr. Greg Wells: I went back and ended up doing a Master’s PhD at the University of Toronto in physiology and studied lead athletes, high-performance athletes, Olympic athletes and ended up also doing exercise medicine to figure out how we can use, exercise to help people with chronic diseases like Cancer. So I kind of work at the extremes now. I’m a Physiologist and I study elite athletes, but I also study people with chronic illnesses. I ended up commentating the Olympics here in Canada. Out of television, came speaking engagements and that book that you mentioned, Super bodies and then now a whole bunch of requests from companies to help them implement performance and health from elite sports from extreme physiology to help them perform better in business. So that’s sort of like 20 years summarized in 30 seconds. Dr. Greg Wells: But it’s pretty amazing now that learning from the extremes is having so much of an impact to help people perform better in business and to be healthier. Imagine if we could work really, really well and at the end of the day, go home with energy to play with your kids, or crush it for an entire week and then have the ability to go home on the weekends and have energy to go take your family to go do something epic because we know that experiences determine happiness. That’s what I’m trying to figure out is how we help people to really reach their potential as human beings in every aspect of their lives. Dr. Greg Wells: Back in the 80’s and even in the 90’s, the way that athletes were trained was simply to put athletes through as hard of a training program as you could for as long as you could. It was high volumes, as many meters as you can put in, as many reps as you can put in. The people who made the Olympics and those who were successful in the Olympics were simply those who didn’t get sick, didn’t get broken down, and didn’t get injured. As a result, careers were very short. You looked at the average age of an Olympian in the 1980’s, it was very young, it was early 20’s. Dr. Greg Wells: Now we’re seeing people winning medals at the Olympics and we saw Phelps in 2004 was his first one, so it was his fourth Olympics. People winning medals repeatedly winning medals in their 30’s, 40’s—and in some cases, even in their 50’s in Equestrian. So, it’s been a total shift now to where athletes are focusing more on recovery and regeneration than they are on the training itself. You can do an amazing workout but after that you’re doing perfect nutrition. You’re sleeping, you’re doing massage therapy. That’s exactly the same approach that I think we need to take in business. You can travel, do an amazing presentation, fly home but unless you’re paying attention to your nutrition when you’re on the road, you’re not going to perform your best. Unless you’re paying attention to your sleep, you’re not going to be able to function the next day. Unless you’re working out, your brain will not be able to do what it’s actually capable of. Dr. Greg Wells: You mentioned Gary Vaynerchuk. The transformation in him over the last couple of years, since he’s prioritized his training in the morning, is pronounced. It’s the reason why he can travel and is one of the main reasons he is hustling so much. It’s because he’s prioritizing to do it and exercise. If you listen to him carefully, he’s taking regular vacations. He’s taking weekends off with his family. So although he’s talking hustle, hustle, hustle, if you actually breakdown his life and his real life, he’s putting these principles into practice as well. I think that if all of us learn how to do it, then it turns into a series of repeated sprints and high performance rather than just struggling through a long, long, long marathon. Chris: Wow, I like that metaphor. Series of repeated sprints. That’s actually really, really good. That’s how we can look at our business as well. I think what I’m really hearing is such a bigger focus on the long game because you know you cannot sprint a term, it’s really a long game. Chris: I just came back from this really intense tour of Asia, speaking over there. Making the shift there, the time zone shift first and then being in the airport, the food is no good. Then the plane food and the hotel and health is one of my highest priority. Sometimes it’s extremely difficult to make. Dr. Greg Wells: I know, I just got off the plane, I flew home from Sydney, Australia last night to Toronto and it was a six day turnaround. I left on Monday and I was back on Sunday. I went down there for a speaking engagement. The first three days that I was there, I was actually in a hotel. Dr. Greg Wells: The hotel, it was fine but it was a hotel where I noticed there was a lot of older people on tours that were staying there and the food was atrocious. I actually moved. I was like, I’m out of here. I left. I moved to a hotel that was right on Bondi Beach. In the bottom of the beach, where the hotel that I was staying were 4-5 incredible health food. Dr. Greg Wells: Yeah, it’s amazing there. So I went from really struggling to feeling awesome because I could get up in the morning, I can go for a run on the beach and come back and have an ultra-super healthy breakfast. Go crush it all day long, come back at night. Go meditate on the beach, go for a swim, it an amazing super healthy dinner and it like revolutionized my trip. I think that so often we consider the external environment to dictate the terms of how we operate on a day to day basis, especially in business. Well we cannot do that. We have to plan ahead, if you have an EA, get them to organize your hotel, have them book you a trainer. In the new location, have them book you a massage on arrival. Call ahead, and order ahead the foods that you want to eat. A lot of hotels will do that now. Dr. Greg Wells: So you can actually construct your external life. To me it’s even better at home. It’s called Forced Optimization. You basically create an environment where it is inevitable that you do the healthy thing. It does take a long time to setup. I’m now—what is it, January 31st?—and I’ve been working on this more or less for the last three weeks nonstop. Because that is the number one priority in my life this year is health set and forced optimization. Getting my workout scheduled and in the calendar. Pre-paying for 20 yoga classes so I have no choice not to go. Weekly massage on Friday afternoons so I make sure I decompress from the week before I go home for the weekend. 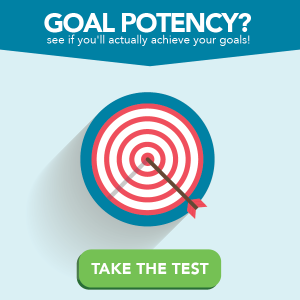 All of these little things add up to enable you to sustain world class performance over an extended period of time. Chris: I love it. I love Forced Optimization. I want to know about this because I’m going to implement the heck out of this Greg. This is so badass. Chris: So run us through Forced Optimization. How you’re doing it for no other reason other than—so, listeners I’m sorry. I’m having a selfish moment, but I really want to know what it is you’re doing, because I’m going to do this. Dr. Greg Wells: All right, cool. Dr. Greg Wells: The first thing is. Part I: One vacation every quarter. So at the end of every quarter for the entire year, I book two weeks to take a vacation and that amounts to 8 weeks a year which I realize that’s a lot. Unless I noticed I didn’t do it last year. I did March but I missed the one in June. As a result, I struggled for the summer. It’s really crucial. You can work while you’re away but you need to get away and you need to remove yourself. If anything to force you to construct a business that can operate on its own. I mean that’s part I.
Dr. Greg Wells: Part II. Is that you can recover, regenerate, and get creative again. So that’s the first thing that I put into practice. I’ve already got those scheduled for the entire year and it’s wicked. I’m doing Nicaragua, India for a meditation retreat. I’m doing Utah for mountain biking. Really cool stuff but that’s already pre-programmed and it’s also a way to connect with my family. On a weekly basis, I prioritized a couple of things when it comes to my health. Dr. Greg Wells: First one is flexibility, and the second one is strength. Dr. Greg Wells: I found a yoga studio in my area and booked three times a week when I go to yoga every second day. I know it’s a lot of time but I’m really interested. I particularly chose hot yoga. It’s Moksha Yoga, or you can find Bikram whatever, and I’m doing that because research has shown that three times a week in a sauna increases your blood volume and increases your endurance without doing any endurance training. That’s sort of a biohack that I’m putting into practice. Dr. Greg Wells: Then I hired a personal trainer. Actually a local cross-fit gym. You could like or dislike cross-fit. I just wanted one person to work with in a gym with lots of equipment. He and I see each other three times a week on Tuesday morning, Thursday morning and Saturday mornings. I am prioritizing that and I’ve sort of blocked off some time in the afternoons each day to do something fun. Be that a swim, a social squash game, a social mountain bike ride. Like something where I am connecting with someone that I want to connect with but doing so on a physical activity. Dr. Greg Wells: So between all of that I programmed in believe it or not, I know it’s a ton but I programmed in about 12 hours a week of physical activity and I think that’s sort of a minimum that humans requires about six so I’m trying to double that. I know it’s a lot. It’s time away from the business but I find that if I do it, my days are world-class. My thinking is exceptional, my stress levels drop, my creativity goes through the roof, my ability to handle stress is completely different. It’s weird taking one step back in order to take two steps forward every single week. Chris: Right! It’s almost like you’re stretching the elastic band but you’re giving yourself that tension release structure. We actually go and have that break and stay put and not move forward in your business but move forward in so many other areas which that makes you kind of explode and come back. I really like it. It’s an awesome concept. Dr. Greg Wells: Go ahead Chris, sorry. Chris: Yeah, I think we just had a little bit of break up but I’m sure the listeners are loving this anyway. I think that everyone has their optimal peak time of the day. And finding that is critical. So, do you really protect that 7 to 10 am? Do you put outside of that meetings or when do you put your exercise during the day? Dr. Greg Wells: Exercise goes first thing in the morning. I’ve got two little kids and so unless I finish working out by 7 it’s just not going to happen. Both my wife and I wake up around 5. We’ve got a gym in the house and I also live very close to a gym. We deliberately chose to live close to an area where there’s parks and everything else so we can workout outside. So both of us train in the morning and then the kids get up around 6:45, 7:00. We get them out the door. We dive into our own major projects, whatever that happens to be. My wife is starting up a Chiropractic practice and I dive into whatever I’m trying to do. So early, early, early in the morning and trying to leave the afternoons for some fun stuff just to decompress at the end of the day. Chris: I love that brother, I love it. So you got the vacation, and you got the flexibility and the strength happening six times a week basically as well as fun everyday. And this is epic. Is there anything else you use to really create force of optimization? Chris: In a good way. Dr. Greg Wells: Hopefully in a good way. Number one priority is sleeping. And 7 1/2 hours. Because there is a small subset of the population that has a genetic code that allows them to sleep for about 3 hours and be completely recovered but the research is absolutely clear that any less than 6 hours a night and you have an increased risk all-cause mortality and illness. So for me it’s getting those five complete 90 minute sleep cycle 7 1/2 hours. That is an absolute priority for me. We know that we learn in the first 3-4 hours of sleep and we know that we are creative and problem-solve in the second 3 1/2 to 4 hours of sleep. I need it mentally. We release growth hormone when we sleep so it helps me to recover from workouts so that sleep is another thing that my wife and I super prioritized. Even when I travel, you know I crushed it on the way to and from Australia. I managed to get 7 1/2 hours on the plane in both directions. You know I really don’t feel that jet-lagged today to be completely honest. I feel pretty good, so. Dr. Greg Wells: And then food—obviously, you need to protect your food. You cannot just be randomly eating the garbage that’s available to us in North America. We have to be doing super high nutrient foods. Minimizing our calories, maximizing our nutrients and so the days that I organize and take my own food with me from home, are the days when I’m absolutely world class. If I neglect to do that, then I really struggle and if I eat on the road, I’m opening myself up to allowing the environment to determine my success which according to forced optimization is not the way forward. Dr. Greg Wells: Judith and I, my wife, are trying to be super disciplined. With just being organized in the morning and make sure we are leaving with great food. If you do that, sleep, eat and move. You take care of those three components and you’re 90% of the way there. Chris: I mean, it’s awesome. I love that you got that sleep, eat and move. Just those three reminders because sometimes we can get ourselves so caught in biohacking that we forget the basics. Dr. Greg Wells: The ultimate biohack, you know, physiologically. I don’t love the term biohacking although I use it a lot because it’s all about short cuts. Unfortunately, the way that the human body works is it works really well when things are done consistently over an extended period of time. It’s the aggregate of 1% gains. If you do things consistently, your body adapts. Your hormone levels change. You get stronger, you get thinner, you’re able to concentrate better. Dr. Greg Wells: Diving into shortcuts means you can perform well for a day or two but you don’t end up being truly world class. So there’s no biohack to an Olympic gold medal. There’s just many, many thousands of hours of suffering. Yeah, so it’s the foundation upon which you can build everything else if your nutrition is world class then you can supplement. If your sleep is amazing, then you can do a biohack to improve your concentration during the day. Biohacking a bad diet, isn’t going to work. Biohacking a bad nights sleep isn’t going to work. Biohacking fitness without going to the gym, isn’t going to happen. Just build that foundation. Take some time and you will completely totally and utterly revolutionize your life in the long term. Chris: I love it man. I love it so much. Chris: There are a few things here that I want to dive deeper into, but nothing more than sleep. Because I think sleep for a lot of us is one of the hardest things. You talked about 7 1/2 hours of sleep and the five 90 minute sleep cycles which I understand. That means that you’re going to bed about 10 pm. I would love to hear your thoughts on sleep, having a good sleep, and some of the things that you do because for me and I’m sure a lot of our listeners, like my brain is hyperactive, I’m still thinking and getting to sleep and going deep is sometimes super difficult. Dr. Greg Wells: It is. I was sort of forced into this a while ago because I had 4 years ago I launched my first book and I was getting ready to commentate the Olympics. I was starting up a new lab at the university where I was at. We were moving, my wife was just finishing grad school, I was just a train wreck with everything in life. My daughter went to Daycare and she got a cold, she came home, I got the virus. It went into my heart and gave me viral myocarditis and I was repeatedly in the hospital. I was studying, studying, studying how to get out of this situation because I was allergic to all the medications. Repeatedly over and over and over again in the research avoiding cancer, fixing heart disease, getting rid of depression, over every single disease, sleep component that was related to it and so we started with that as our foundation for rebuilding our lives and rebuilding my health. Dr. Greg Wells: I’m the same as you, my mind is going 8 thousand miles an hour. I’m hyper, I’m crazy, I love work. I’m starting labs, I’m creating books, I doing speaking engagements, like it’s nuts. As a result, I found it incredibly difficult to sleep. So I constructed and have lately refining it and continue to work on this, ruthlessly protecting the hour before you go to sleep. I don’t know about you but I’ve not really written a world class email late at night. If it’s 9:45 and I’m writing emails, it’s a problem. And not only that, the people that are receiving my emails, I’m disrupting their evenings as well because if it’s from me, they’re probably going to read it. I know that’s an ego thing to say but if you’re in my organization you’re probably going to read my email if I send it to you. Dr. Greg Wells: What I do is an hour before sleep, I try to ruthlessly protect that time. The devices go off. Absolutely no screens. We got rid of cable. We don’t watch television. I have no time to watch television—there is not much good on anyway—so we get rid of all of that. Dr. Greg Wells: We do a series of things. Hot bath, cold shower is amazing for triggering Melatonin release. So 10 minutes in a steaming hot bath, Epsom salt for sure just to help you to recover from the day. Stand up out of that, cold shower to cool the body and the change in body temperature triggers Melatonin release. Then into some very, very light yoga poses or 20 minutes of meditation? Awesome, fantastic—I’m huge into meditation these days. Followed by 10 to 15 minutes of reading fiction because fiction activates the same parts of your brain that are activated during dreaming. If I followed that sequence of events, then I’m relaxed, my mind is not racing, I’ve calmed myself down. I’ve connected with my spouse. My body has been dealt with, my mind has been dealt with. I have eliminated the racing thoughts that occur with work and I fall asleep quickly, I fall asleep deeply, and I wake up the next morning and I feel like a million bucks. Dr. Greg Wells: So what I would encourage everyone to do is to build that sleep routine. The same thing you would do if you’re getting ready for a major presentation. You don’t just suddenly walk in and wing it. You know you prepare, you rehearse, you calm yourself down, you get psyched up right as the presentation is about to start. Dr. Greg Wells: If you look at every single world class performer, they have routines that they follow to guarantee performance. It’s the same thing with sleep, we need to have routines that we do at a specific time of day consistently that allow us to sleep well and signals to your body and mind that this is what’s going to happen next. You can get really good at sleep. Once you’re amazing at it, then maybe you can go from 7 1/2 down to six if you’re really, really busy but protecting that time and trying to make sure that you sleep awesome is huge. Dr. Greg Wells: I’ve also found if you do that hour routine before you have to fall asleep, that I never wake up in the middle of the night. So if I’m working right up until I go to sleep, I will dream about work, I’ll wake up 2 o’clock in the morning, my mind will be racing and I’ll have a hard time falling back asleep again. But if I follow my routine, I go to sleep quickly, I go to sleep deeply, I do not wake up. I wake up the next day and feel like a million bucks. Chris: Wow, it seems so simple but there’s some perfection and I love it. I just wish that entrepreneurs would hear this because these sort of things—and listeners these things make the difference as you go through these higher levels. It’s huge. Dr. Greg Wells: Yeah. If you look at the really to truly world class people that are crushing it in business repeatedly, I would argue that lifestyle determines your long-term success. Success does not determine your lifestyle. So a lot of people are like you know what I’ll take care of myself once I’ve made it and once I’ve sold and once I’ve got a million, a couple of million dollars in the bank. Well the reality is that 99% of the people out there is that you’re not going to end up being successful unless you do that. Dr. Greg Wells: So build the lifestyle that enables you to succeed and succeed long-term. And what is going to enable you to be world-class for 5-10 years. And no one can sustain that. If you think about your competition, if you think about the people that are trying to compete with. You know they’re probably going to adopt the short, fast, success route and you’ll take them out over time. It might take you a year. Dr. Greg Wells: It might take you 3 years, it might take you 5 years but I guarantee you that in the end, if you do these things right, you’re the one that’s going to be creating multiple world-class, you know either one business that lasts forever or multiple exceptional opportunities. You’ll maximize your potential as a human being. If you don’t do it, you cannot function well when you’re sick, you cannot function when you’re tired, you cannot function when you’re burnt out. You cannot be creative if you’re not fit. You cannot problem-solve if you’re racing around. So it’s just about adopting a completely different strategy. Chris: Yeah. I’m with you. And you know here’s what I love so much Greg what you’re talking about is that it’s literally their potential and people can have the best mindset, the best ideas, the best creativity, the best team but then they limit their long-term potential by not taking care of this stuff. And it’s that big. You know how many times I have heard you say the word, “world-class?” And I love it every time you say it. Chris: So I’m going to ask the question; what does world-class mean to you? What is a world-class performance? Because it seems to be something that I just want to be. Dr. Greg Wells: Yeah, so I get challenged on this a lot because I speak in schools and in businesses, and law firms and everywhere else and people are always pressuring me, what is world-class? So when I’m at the hospital for sick children in Toronto where I’m a researcher and I’m very, very fortunate to be able to do some research in the cancer ward. And for some kids, going through chemo and radiation, world-class means going to the bathroom by yourself. World-class is getting up and walking up and down the hallway. That is a world-class performance for that individual that 99.9% of the population would not be able to do and they give up. Dr. Greg Wells: And so, what I mean by world-class is you reaching your potential, whatever that happens to be. It’s like going for a walk after dinner, it’s that disconnecting from work and actually taking your kids to the park and being with them and not checking your phone with them while you’re at the park. Having dinner with your family and actually having a conversation with your teenager where you really listen. Is that delivering a world-class presentation on strategy to your teens that they’re all with you. It’s literally whatever—it’s you reaching your potential in that particular moment. Dr. Greg Wells: I’m fortunate. I’ve been with Olympic champions. I’ve been with people that have run across the Sahara desert, I’ve been up mountains that have been the closest people in the world to the stars basically at one moment in times. So I’ve been very, very fortunate to be with some unbelievable people. Around the Richard Branson’s and the Steve Wozniak’s. You’re in Alex Charfen’s office, he’s rocking it as well. Amazing people like that and world-class is what you’re capable of today and in this moment. And really trying to optimize that and if you do that consistently over time, no one can keep up. Because the vast majority of the world are not interested in playing that game. Chris: Brother, I love it. We’re definitely interested in world-class. I’ve got so many things circled on my page here that I would like to keep asking you but I want to talk about one that’s popping out and that’s about meditation. You’ve mentioned it quite a few times and it seems to be a biohack that’s not even really a hack it’s kind of just what’s necessary. Chris: What’s your meditation routine? Because I think a lot of entrepreneurs want to do it, but like me, struggle with it and want to be able to do more. Dr. Greg Wells: Yeah that’s my fourth pillar. It’s Eat, Sleep, Move, Think. Dr. Greg Wells: Like seriously, we are setting the foundations that we can think because ultimately our businesses come out of our brains and you want people to be able to crush it and if your brain is not functioning well than you cannot do what you’re capable of. Dr. Greg Wells: So meditation has become a foundational practice for me. It emerged last summer as I was writing my book. So I was writing a new book called The Ripple Effect. It’s coming out in April. It’s built on these four pillars we’ve been talking about. What I did, I would wake up in the morning and I would go for a swim with my buddies. Come back and grab a coffee and meditate for 20 minutes and then I would start writing. Dr. Greg Wells: The days that I meditated, my writing was off the charts, better than the days that I didn’t. My ability to concentrate was completely different. I felt steady and stable all day long. Clear. Things would arise and I would immediately be able to control my attention, to be able to direct it in the places I wanted to. Dr. Greg Wells: So, meditation has become a core practice for me. I do just very simple, 20 minutes a day. I find a quiet place to sit down. I try to make sure there are no distractions. No potential for interruption. Ideally outdoors but whatever, it doesn’t really matter. Then do a few minutes of just deep breathing just to kind of [inaudible 00:31:50] myself. I would then just express gratitude and sort of be thankful for the opportunity that I have in life and where I am. I’ve been to Africa, I’ve been to India, I’ve seen the most difficult situations in the world and so I try to remind myself of how fortunate I am. And then I think a little bit about why I’m doing it. Why am I doing all of this stuff. It’s for my family, it’s for my kids and for myself to have a different life, a cool, fun life. Dr. Greg Wells: So, it’s sort of breathing, followed by gratitude, followed by purpose and then I will do about 10 minutes where I just simply count my breaths and try to just focus on my breathing. And that’s it, just really slow breaths and try to count 10 if I get distracted, I start back over to zero. I count to ten repeatedly over and over and over again. Dr. Greg Wells: Then the final 5-10 minutes, depending on what I’m doing, it’s simply a body scan. I think about my head, my eyebrows, my throat, my chest, my stomach, my hips, my knees, my feet, and then go back up. Travel up and down through my body a bunch of times and try to eliminate tension. Anywhere that I find tension, I just sort of let it go. I try to get into a deep relaxed state as I can. It’s amazing, by the end of it, you cannot even feel your body until you direct your attention on that area. Then after that’s done, I just sort of bring my attention back to the world and take a few deep breaths, open my eyes and take in what’s going on around me and slowly come out of it. And that whole routine takes me about 15-20 minutes. Dr. Greg Wells: I learned it by doing HeadSpace so if anyone wants to get into it, the HeadSpace app is how I learned and I use it quite often. So if anyone is traveling, I do meditation during take-off. It usually takes about 20 minutes. I do my routine now. I sit down in my seat, I close my eyes and I do my 20 minute meditation. By the time I’m done, we’re at cruising altitude and I can open up my computer and get to work. And then doing it first thing in the morning and last thing at night is also just brilliant. Dr. Greg Wells: If I had a particularly bad day and I’m fortunate enough to work in places where a bad day can be really, really, really bad. And I said it’s an honor to work with people who are battling chronic illnesses and so some days are tough. If I’ve had a rough day, I need to go home and be with my kids or be with my family then meditation enables me to be able to do that. But first thing in the morning is also amazing because it sets you up with just a different experience mentally than if you don’t do it. Chris: Yeah. I feel that a lot of people try to rush it or think ah, I’m just going to skip it because they don’t have the time or whatever but I’m with you. Everyday that I go deep and I really, really, really feel clear in my meditation and I get that which isn’t everyday Greg. I am still practicing still getting better at it. But the days that I really have been good, oh my god, my days are just on fire. That actually happened today. Dr. Greg Wells: Oh right on! That’s awesome. Dr. Greg Wells: Yeah, I had a couple of really wild breakthroughs. Like one of the breakthroughs that I had was when I actually was able to count my breaths without getting distracted and did that for about 5 minutes, my brain felt totally different. And then I really noticed that I was able to stop ruminating thoughts. So if you’re thinking and ruminating about something and you’re replaying something that bugs you or something that your spouse said or maybe your parents or anything that’s bugging you. What I’ve noticed is, I just let it go. Like it just disappears. I noticed when I’m ruminating, yeah that’s a waste of time, gone. And my ability to do that has just exploded. Dr. Greg Wells: So, like seriously, it’s like one of those things that if you just take the time, you schedule it in, you’ll gain that time back exponentially and just make it part of your practice and you’ll be blown away at what occurs. Chris: It’s because it’s not the time, it’s the amount you get done in that time, right? Like I think people hear this and say oh but it’s going to take 30 minutes and I say what would take you three hours, after you’ve meditated, it’s only going to take you an hour and so you get it back. Because you are so much more clear and focused. And here’s something else I find as well. I wonder if this is the same for you. After meditating, sometimes my to-do list changes. Dr. Greg Wells: [laughs] Absolutely! Chris: I’m like, I don’t want to do that, I don’t need to do that anymore because I can just do this, this way. It’s like, oh gosh, it’s so, so important. Dr. Greg Wells: Yeah. You’re to-do list changes. Items become, you look at them like, “That’s totally irrelevant. That has nothing to do with what I’m trying to accomplish in my life. Why did I even write that down?” It’s just incredible on how your perspective is able to shift towards your priorities. And there’s another really big thing that I think entrepreneurs need to be aware of is that, time management is completely archaic. We need priority management. Priority management, and even maybe energy management. Dr. Greg Wells: We’re managing our priorities, we are going to be able to achieve what we want to achieve. If you’re managing your time, you’re already losing the game. We need to not be worried about ticking things off and being busy. We need to be spending our mental and physical energy on the things that are going to make the biggest difference in our lives in a year, three years, five years. Dr. Greg Wells: And I totally believe that meditation enables you to do that along with your workouts. And we do talk sometimes about biohacks. Another way to combine things is that you can do meditation while you are doing rhythmic, physical activities. So for example, walking, swimming, biking, rowing, anything that has a rhythmical component to it. If you are like, don’t watch television while you’re at the gym or anything like that. But if you’re out for a walk, you can meditate while walking. If you are on the train or on a bike and you’re spinning your legs, you can close your eyes, you can meditate. That’s really wild if you do that. So there is ways of amplifying. It’s called muscular meditation, a super powerful technique. Dr. Greg Wells: And there’s another thing called the MAP workout. The mental and physical. It’s been used to treat Schizophrenia, to treat depression, and to treat anxiety. And what that is, is 20 minutes of physical activity, either aerobic or yoga followed by 20 minutes of meditation. And putting them back to back, appears to have an amplifier effect on benefits for gray matter in the brain and mental health. So there’s this, it’s why I wrote the book, The Ripple Effect. All about these amplifiers of what happens when you put things together. So there’s that as well if you are sort of in a crunch, oh I don’t have time. Well you know what, do 20 minutes of walking or 20 minutes on the treadmill and jump off and do 20 minutes of meditation. You’ll get some really interesting looks at the gym by the way if you do that. But you know everyone is getting into it these days so people will ask you what you’re doing and how to do it themselves. Dr. Greg Wells: Actually, the more interesting looks you get, the more likely you are doing something right, so. Chris: And I love your little piece there on time management because it’s not focus on the time management, but it’s really what you get done. It’s how you push the ball down the field, it’s how you actually move forward and having this potential being the healthiest, most vibrant you can be is definitely in that 20% that makes all the difference which is. Chris: Man, we’ve gone overtime and we normally like to keep this nice and short but the reason why we did that listeners is because I have just been siting here enjoying it. I just looked at the clock now and, “oh wow, look at that,” so. I appreciate your extra time, man. Chris: But let me ask you a couple of questions and so—I still have so much I didn’t get to ask you about. I mean, I wanted to hear about your bounce back from your neck injury. I wanted to hear about some of the amazing things you’ve done. So I think, Greg, if it’s okay with you, we are going to have to get you back on at some point because there is so much I want to learn. Dr. Greg Wells: Yeah. Let’s do a part two for sure. Yeah, there is lots of fun stuff that’s happening and some great stories and the reality is, this is not easy. This is a long, long, long process and if anyone thinks they can do this in a week. Like I’m 46, I’m still learning. I broke my neck when I was 15 and that’s sort of when I started this journey with 31 years in. So there’s no rush. Let’s do it again for sure and we’ll keep diving deep. Chris: I would love to. Let me just ask a couple of things. Firstly, if any of you want to find out more from Greg, I think you go to www.drgregwells.com but is there anywhere else that they should go to to get more information or learn about what you do. Dr. Greg Wells: Yeah, www.drgregwells.com is sort of the home. We do try to put stuff out on Twitter and Facebook. I’m directing my attention a lot on SnapChat just to share what happens on a daily basis so if people want to check all that stuff out, we would love to connect and so I sort of put information on Facebook and Twitter. We try to put deeper articles and podcasts on LinkedIn and then the database stuff is going to go on Snapchat. So any of those we’d love to connect with you guys. Chris: Perfect. And we’ll put all that in the show notes. Chris: I have two questions I’ve asked everybody every time they’re on the show and here they are. The first one is this. As if today you’ve lost it all. 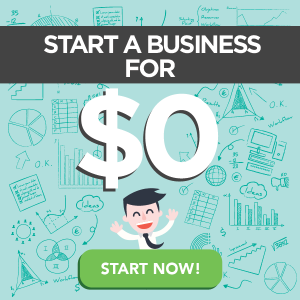 You’ve lost all the relationships, all the money, the business, everything and you had to start from scratch. How would you start today? Dr. Greg Wells: I would—funny you asked that. That’s sort of been a mental exercise I’m playing over and over and over again for a year now and it’s sort of deliberate. Like I do sort of two things. One, I thought if I lost everything in my career what would happen and then second thought is, that I deliberately playing with is if I had absolutely no money, what would I need in order to survive. And it’s an important question for people to ask because, when you answer those questions, you realize how little you need to actually live and it liberates you to take risks. Start from scratch, you realize that if you’re not doing what you love, or what your purpose is, how easy it is to make a decision to actually just go do what you want to do—which is sort of the process I’m going through at the moment. Sort of on an ongoing basis. Dr. Greg Wells: But, what would I do? I would probably, you know the thing that I love the most right now is having an impact in helping people live healthier so that they can reach their potential. So I like love public speaking and would probably go out and start very deliberately just doing little engagements wherever I had to to start getting the message out again and just 20 bucks at a time and put out the cup at the end and see what I can raise. Yeah, that all comes down to what’s your unique ability, what do you love doing. What are you doing that gives you energy? If you can identify that, then you’re free and clear. How little do you need to live? Dr. Greg Wells: Like what do you actually need to live. I love riding my bike. I love going for a swim. I love playing with my kids. I don’t need a lot in order to be ultra-super happy and that’s a pretty liberating thought if you can get there. Chris: It is pretty liberating. Here’s the second part of the question. If you were to go back to the beginning of the entrepreneur journey, right back to the start, and you were able to sit down with your old version of you and you had two minutes to share some advice, what advice would you give? Dr. Greg Wells: Get more help sooner. That’s probably the biggest thing, honestly. Like just stop doing it all yourself. You don’t have to do it all by yourself. Get help. And guys like Alex Charfen had taught me that a lot. And I know that you’re in his office right now and we’re sort of speaking with each other from opposite ends of the continent but like that’s the biggest ones. Like get good help. Find teammates and build it. You don’t have to do it all by yourself. In fact, you’re better off not doing it all by yourself. Chris: What great advice, Greg. Chris: It’s been such a pleasure to get to know you today. I cannot wait for episode II. We’ll get that organized because I really want to go deeper on a lot of these things. Still have about five things just circled here from our conversation that I would love to explore with you but thank you for your time. I know it’s the most valuable resource and I hope the listeners out there got a lot from this because I sure did. So thank you very much. Dr. Greg Wells: Yeah, I know. Thanks so much. It’s assume to connect and yeah I cannot wait to chat with your audience on Twitter or Facebook, whatever. Just hit me up and we’ll start the Convo. Chris: So let’s just get over to that. All the links are in the show notes. Thank you for listening. Make sure you subscribe and share this episode and we will see you on the very next show. Bye for now. 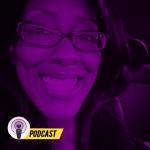 Hey, it’s Chris, thank you so much for the Freedom fast track podcast episode. You are the reason we do it. I would love to hear your feedback. I would love to be your support. So please rate the show. Please share with your friends. 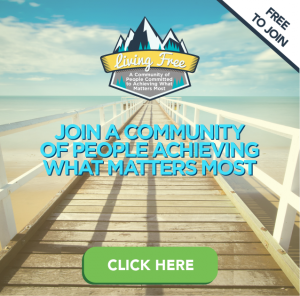 It’s the only reason we do it is to get more people living virtually free. To travel the world, make more money, have more time off, and do more of what they love. If you want to increase your freedom, if you want to make more money, if you want to have more time doing what you love, get over to Christophermduncan.com. 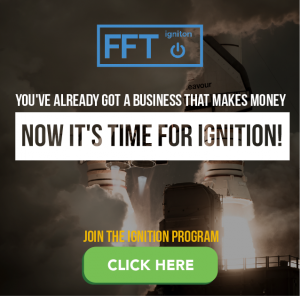 There’s free training, gifts, and updates on how you can be expanding your business and expanding your freedom. Again thank you so much. 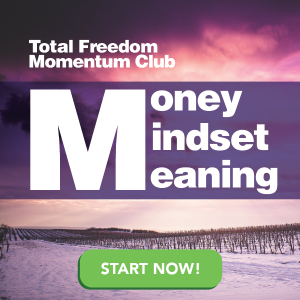 Please rate and subscribe the show and hit over to that site right now so you can get started on your journey to total freedom. 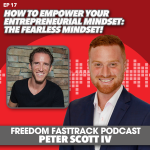 Episode 17: Title: Peter Scott IV | How To Empower Your Entrepreneurial Mindset: The Fearless Mindset!